Political and Election Associated Stress is Real: So My Clinical Advice? BREATH; As this has been a challenging election process. Focus on what you can do to make a situation (whether good or bad) better! According to The Official Journal of International Society Psychoneuroendocrinology’s June 2010 (Volume 35, Issue 5, Pages 768-774) article Stressful politics: Voter’s cortisol responses to the outcome of the 2008 United States Presidential Election, this is a stressful time for Americans at large. The article reports empirical evidence supporting our anxieties regarding presidential and election campaigns. 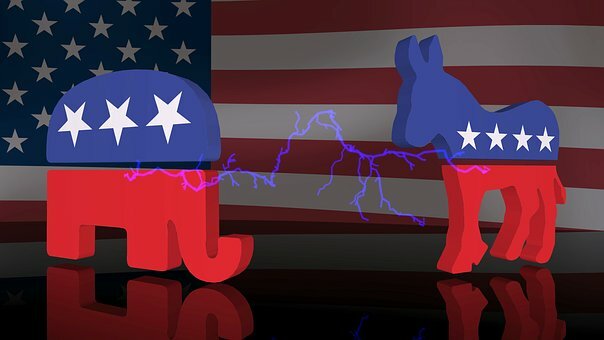 In the next several months there is bound to be more research generating novel evidence that societal shifts in political dominance can impact biological stress responses in voters whose political party becomes socio-politically subordinate. America. A Nation "Of The People, By The People, And For The People. We have made great strides forward and we must continue forward. Not backward. “... my hope is that which ever candidate becomes president,,,that they adopt a clear-eyed, compassionate, people oriented approach to governing and diplomacy---emphasizing education, mental health, and the growth and support of the middle-class. I hope that post election Americans can come together "divided we stand, united we fall." We need to get Americans to realize that they can't get their news through filtered sources catering to the right or left. There is so much disinformation being distributed by both sides. We need to be extra vigilant in checking our sources (paraphrasing a friend). A beautiful discussion on StoryCorps last Friday. It was a discussion between a daughter and father with opposing political views so touching. In the words of Elvis Costello, " What's so funny bout peace love & understanding? ...my hope would be that we as a country and primarily the younger generation starts to become more civic minded and active in electing who is more representing of our beliefs. ...Unity and a mindset of abundance, preservation and an ongoing improvement to our quality of life: Food, Air, Water that we consume must be cared for, respected and thought of as a commodity that we must protect and preserve. I.E. Dakota Pipeline. ...It’s time we come together for the next chapter in our country. In order to continue to be a prominent country we must be leaders of the new world and be an ongoing example of the freedoms we enjoy here in the USA.